Another month down, another month of quality reading. As always, articles included in this reading list are evergreen. If you open up September’s or April’s list, the articles recommended should still be relevant. I’m about to hop on a plane for my yearly international trip, so I’ll have a lot of time to catch up on my reading this month (hopefully). If you’ve been to Taiwan or Thailand, I can never have too many recommendations so send them my way. Before the Beat Generation, Generation X and the Millenials, there was the Lost Generation, and the debut novel, The Sun Also Rises, by Ernest Hemingway was its bible. As important as this book became, it has an equally interesting and important backstory. One that involves a group of friends from Paris who went to Pamplona and behaved badly. After this riotous vacation, no one was the same. As great as Ernest Hemingway is perceived as a writer and celebrity, this book shows a mortal side to him. One that can be nasty, selfish and downright awful to be around, but also someone with undeniable talent. If you’ve ever wondered why people joke about lesbians driving Subarus, the reason is not just that lesbians like Subarus. It’s that Subaru cultivated its image as a car for lesbians—and did so at a time when few companies would embrace or even acknowledge their gay customers. It’s less well known why. That’s likely because so many straight people were blind to the advertisements. Two women had the most audacious task. Killing the brother of the North Korean leader. Right out in the open, using deadly chemical weapons in an international airport. And the craziest thing? They had no idea what they’d gotten into. This reads like a James Bond or le Carré novel. If you like this short article, you’ll love A Kim Jong-Il Production. We are beset by—and immersed in—apps and devices that are quietly reducing the amount of meaningful interaction we have with each other. One day, humans won’t have to interact with each other. If we are aware of it, we’ll hopefully realize that social interaction and cooperation is something our tools can augment but not replace. 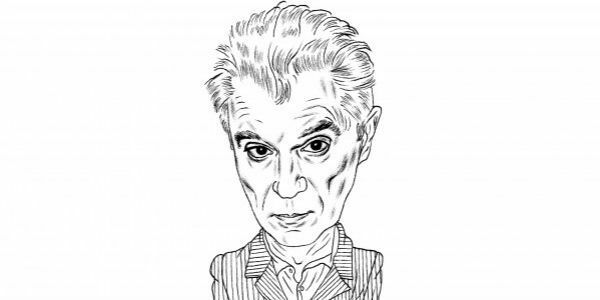 This comes from the mind of David Byrne, you know, the Talking Heads guy. In July of 2015, a Russian helicopter pilot had nearly completed a record-breaking trip around the globe when he crashed into the icy waters of the Arctic Circle. He should never have survived. This short article is an incredible story of survival akin to Endurance, which you might remember from a previous reading list. Speaking of John le Carré, did you know it’s the pen name of David Cornwell, an ex-spy for Britain’s famed MI6, whose page-turner spy thrillers have made him one of the most successful authors of the past 60 years? Talk about a career pivot. The age of Instagram has given rise to a new genre of installations, which seem to exist only to produce the perfect photo. So, can it be called art? When people think of Jim Carrey, laughter, comedy and Ace Ventura probably come to mind. That’s only 50% of the picture. This short 6-minute video shows a sliver of the other part of him. It’s Jim Carrey, the artist, and his work is beautiful. Good music to listen to while you read this list.